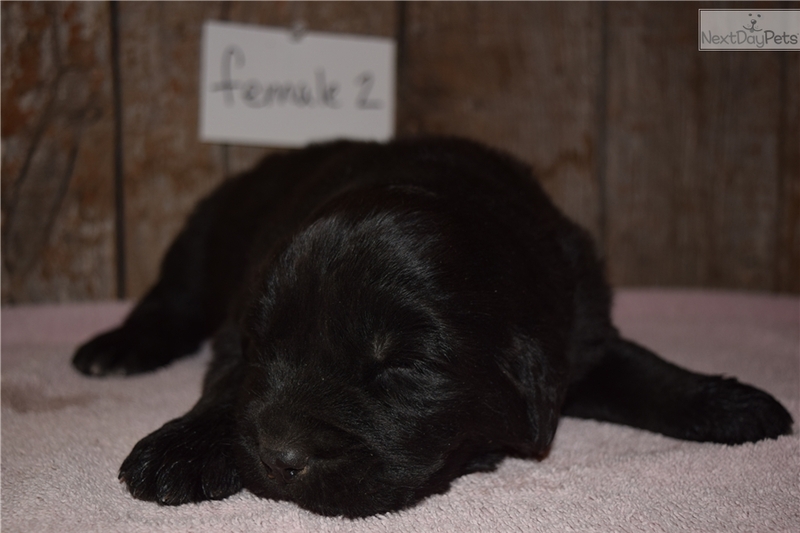 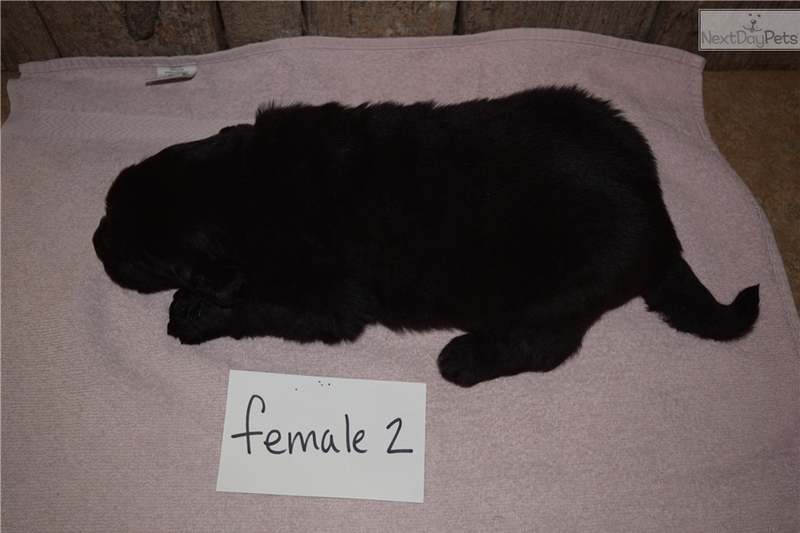 This Newfoundland nicknamed Female 2 sold and went to a new family. 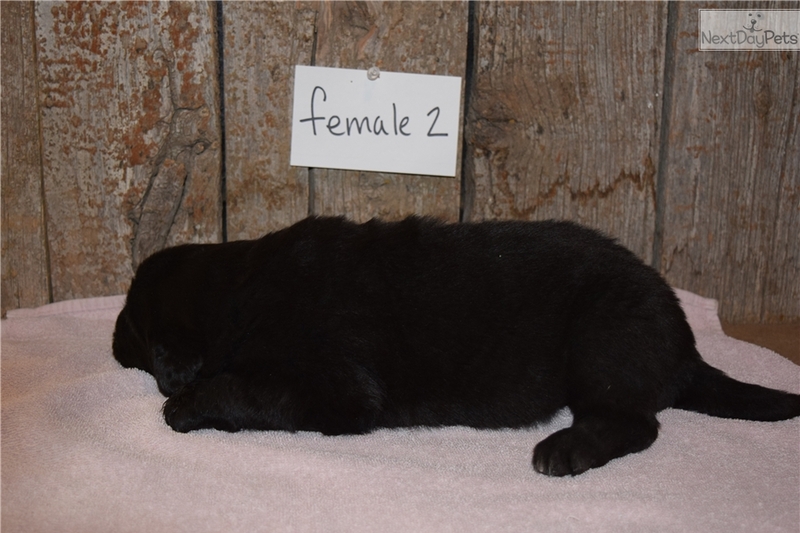 We have one little black female with a white chest. 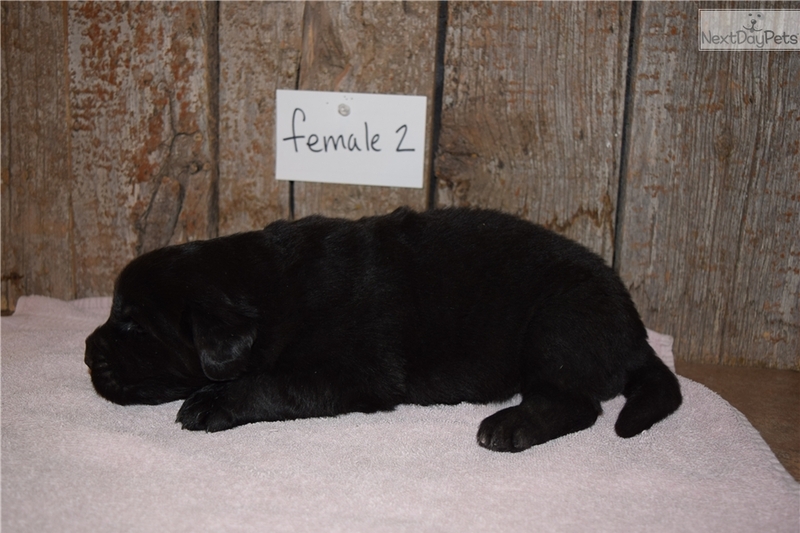 She is pure bred, but not papered. 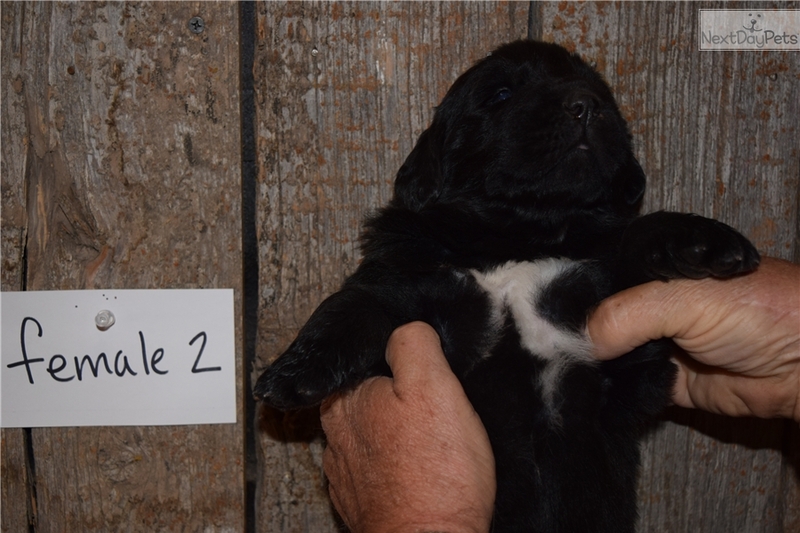 I am happy to ship or meet part way for travel expense, or you can pick your puppy up.